Heyyyy lovelies. 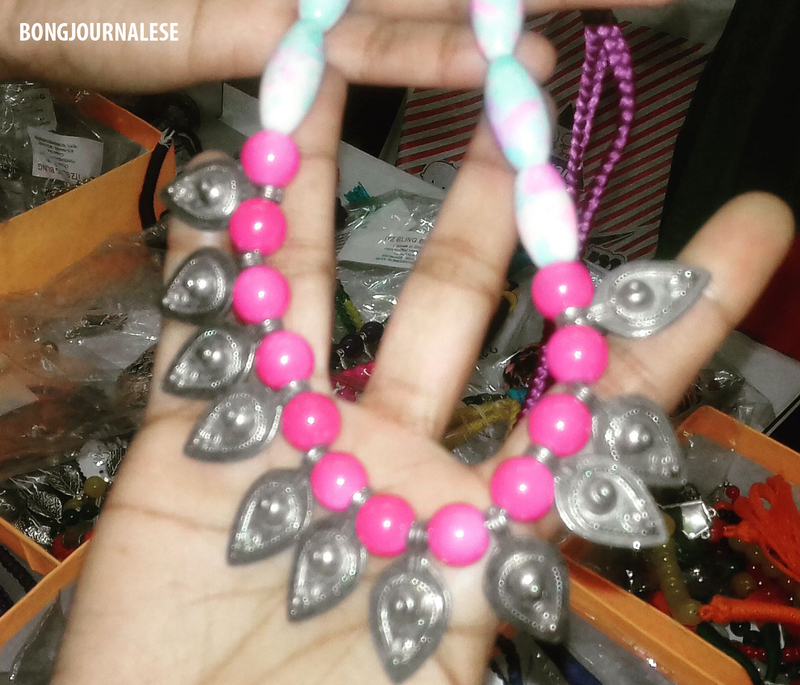 Howz your pre-Durga Puja shopping going on? I know, I know. Only one month is left and you all are super excited to bring out the new you with all newest trends. Though we shop, we style, we try to look modish throughout the year but Durga Puja is the time when all Bong girls try to be at their impressive best. I am not an exception. I always try to mingle my style with ethnic as well as western look. But the concept of fashion is never complete without jewelry. So last Friday I could not desist myself peeping into a Jewelry exhibition. It is really alluring to have so many chicky and charismatic creations of so many designers under one roof. From Goan chick, Afghani neckpiece to Jaipuri jewelry, all are just exquisite. 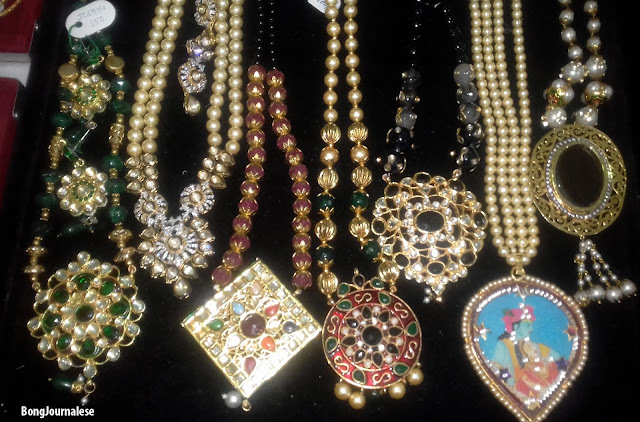 Nayaab Jewelz has a mesmerizing collection of Jaipuri jewelry, navakari and kundan set. 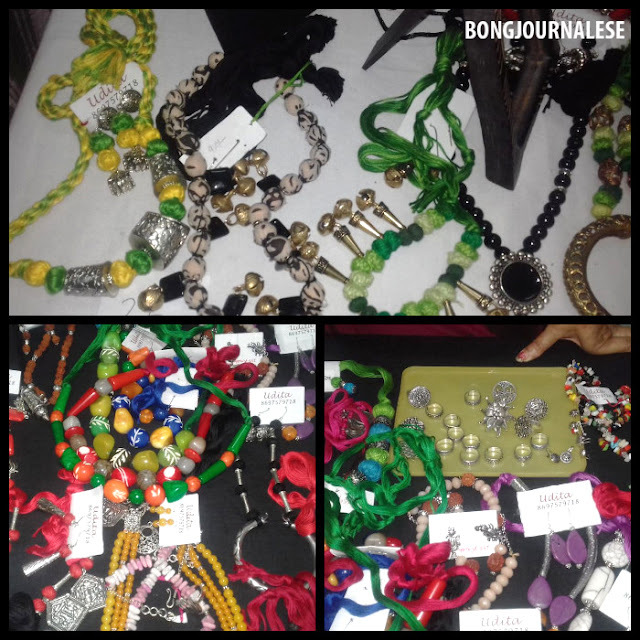 On the other hand I found some splendid collection from ITZ BlING BLING. Designer put her efforts in creating design with Kolhapuri stone, coral beads, onyx beads. Actually the neck piece that are made from onyx beads reminds me about Victorian era. 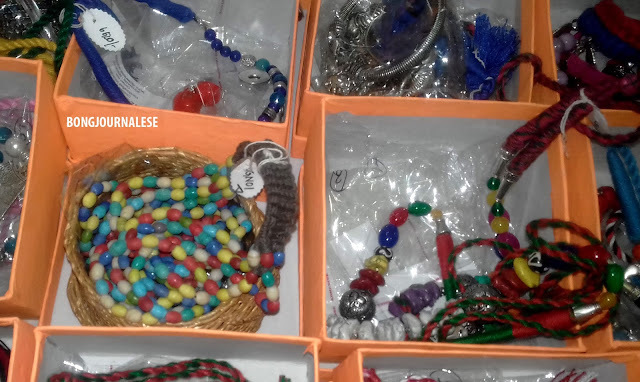 A huge collections of nose pin and charming bracelets are also impressive. The hypnotic collection of Tajjala is all about playful nostalgia. What I like about Tajjala’s collection is the miniature of Durga puja items used by the designer. Not only jewelry, there are also a various compilation of traditional saree. 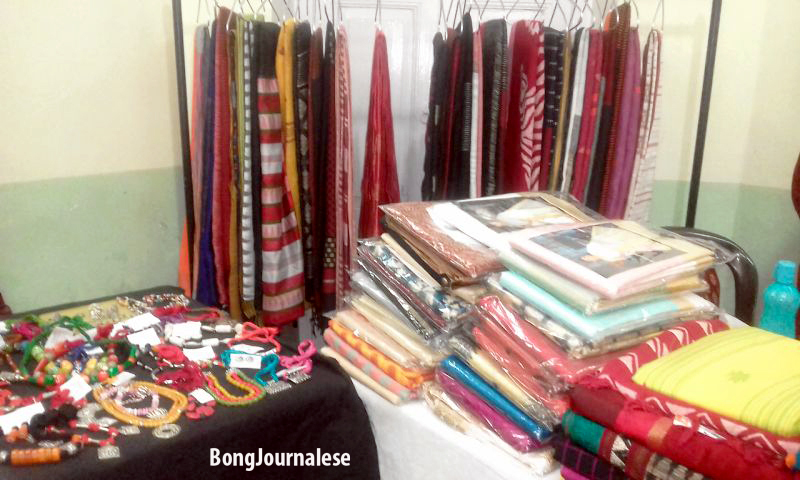 Mangalik has diversity in handloom collection. I came to know from the designer that she has experimented the batik print on cotton, khesh and graceful silk. It is really very pathetic to hear that so many teens are tending towards suicide just to complete a dangerous internet game like Blue Whale Challenge. In these few months this horrendous heart rending fact kept coming in news. It is not a video game but a virtual targeted privacy hacking ploy used by criminal minds to trap depressed and distressed innocent teens in particular tracked from unknown sources. The game started in Russia in 2013 and now existing in several countries including India. This is actually a suicide game where a group of administrator instructs the participants (particularly teen aged participants) to execute any painful task daily for 50 days. And finally participants have to commit suicide. Many teenagers have already lose their lives falling in this trap. Apart from natural distraction from studies never before the virtual game world challenged parents with such a fatal consequences. Though police have already arrested the main culprit but the game is still existed. Delhi High Court already ask for an answer of Google, Yahoo and Facebook on a plea to direct them to take down the links. Kerala Government will soon write to central to ban this game said Kerala chief minister Pinarayi Vijayan. But how could parents help their children to stay away from such a dangerous virtual world? 1. Talk to your kids. Teenage is a very delicate moment. So parents need to understand their children more during this period. Ask them what they are thinking about their future life.Give them some time from your busy schedule so that they never feel alone. 2. Your child can harness any electronic gadget better than you so try to encourage them and ask them to teach you some gadget tricks and tips. 3. Treat them like a friend so that they can open out. But still keep a track on their movements as well as their virtual world. 4. Instead of gifting a smart phone give them a regular small budget phone. 5. Keep patience with them. If you found any abnormality in their behavior immediately contact a counselor. 6. You need to be updated and informed of the news and trends at least so that your child knows that you can track them. 7. Infuse and inject in your child the sporting spirit and encourage by saying how you enjoyed the outdoor games and even not abiding your guardians' warning. This will make your child get frank with you and the challenge of the real world will attract more than virtual targets. 8. After each day end try to find time to at least discuss with your little one at dinner table and encourage him/her to tell how the day fared. 9. Never challenge your kid with the idea that you know better than him just because you are senior. But try to persuade by citing examples that you have passed his age and maybe he is right but he needs to be logical enough to satisfy you. 10. Last but not the least, your dreams should not be your child's burden, and your beliefs must not be an automatic choice for your child. Its completely ok to disagree and don't ever play the comparison game to win the battle. from you in your thoughtful comments. If you ask most Bengali to have lunch without fish then it will be definitely a nightmare for them. It is because Bengali menu never complete without fish. 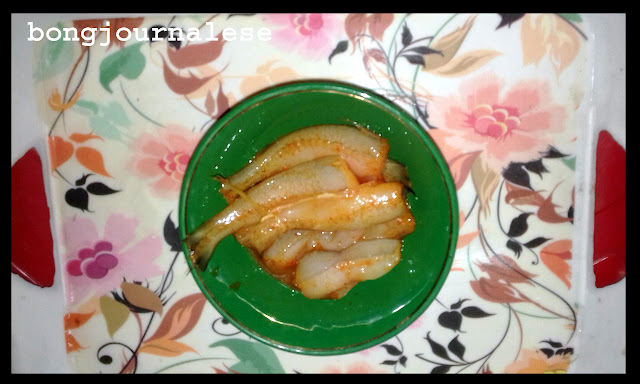 You will find varieties of fish recipes in Bengali cuisine. Bengali loitta machh popularly known as Bombay Duck (it can also be spelt as Bombay daak) or bumia is well known fish in West Bengal. 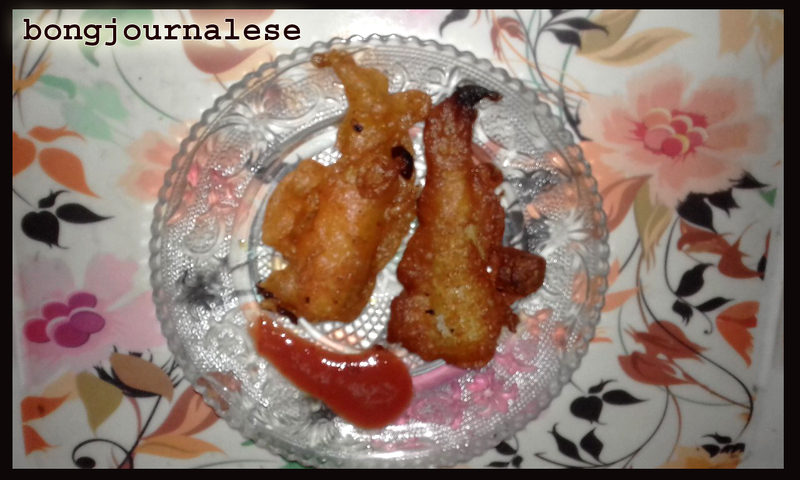 There are hardly any Bengali who don’t love to have a range of delicious preparation from Bombay Duck or Bombay Daak. Among this I myself love Fried Bombay Duck which I learnt from my mom. I am sharing this recipe so that you can enjoy it too. It is really very easy to prepare and time saving too. Remove the head and fins of the fish carefully. Then clean it. Drain out the excess water. Slit then into halves. Marinate the fish with salt, turmeric and half tea spoon chili powder. Keep it aside. Then take flour or maida in a clean bowl. Add salt, garlic and 1 tea spoon chili powder and mix the ingredients together. 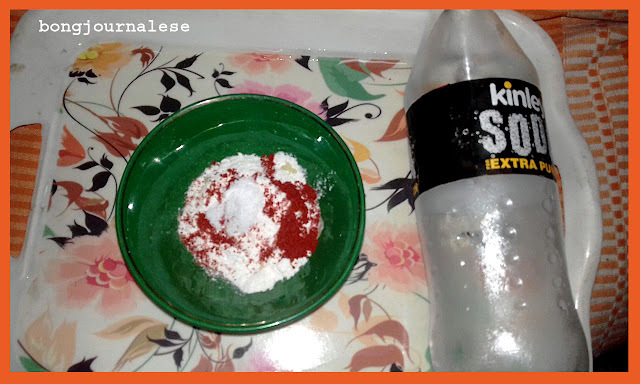 Add soda water to make the batter. Prepare the batter in such a way so that it gets ribbon like consistency. Take a frying pan and pour oil in it. Heat the oil in low fame. Then dip the marinated fish in the batter and deep fry in the heated oil. Serve hot either as snacks or with main course. Really it can compete with KFC fried chicken if you want to impress the fish loving folks. Let me know how you like the recipe. I would love to hear from you. Like it and share this recipe. 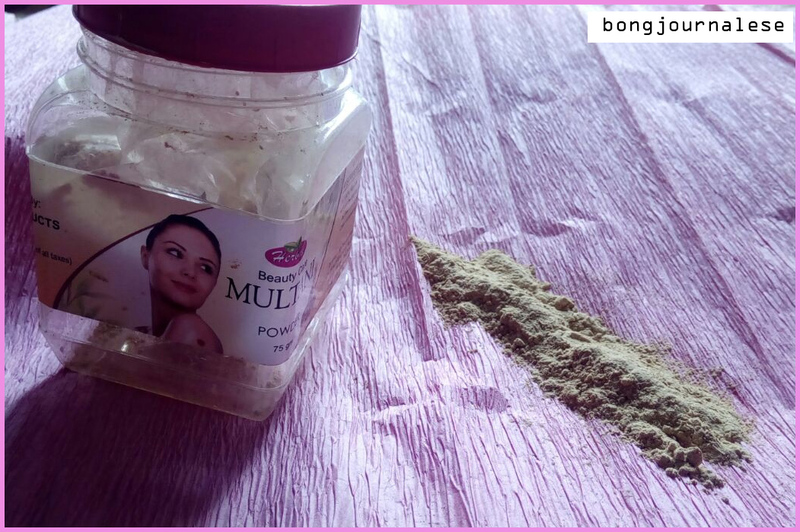 Call it Fuller earth or Multani Mitti, it is one of the major ingredients that found place in every lovely lady’s beauty box. We can’t think of completing our beauty regimen without it. I generally buy loose fuller earth from local grocer’s shop. 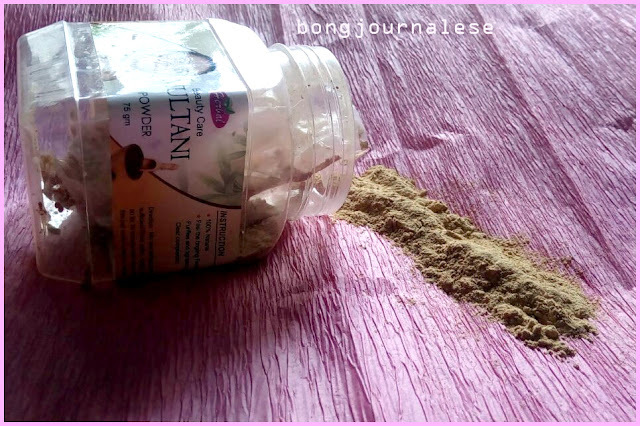 But this time I tried packed Multani powder from Herbal beauty care and I really fell in love with it. It comes in a air tight transparent plastic jar. So there is hardly any chance to retain moisture. Normally what happened if you buy loose Multani mitti or normally packed one there is a chance of retaining moisture. 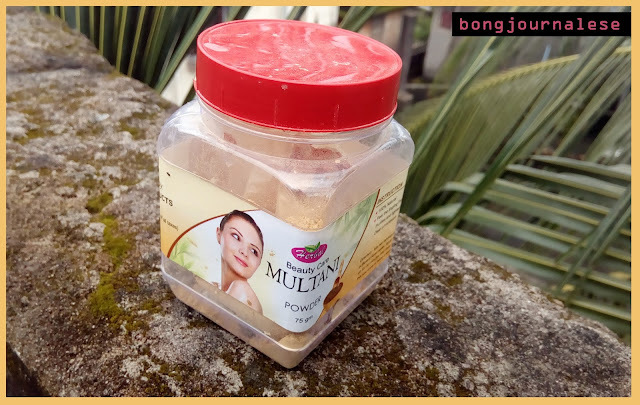 The Multani powder is so fine that it easily get mix in water. It doesn’t leave any lump so you can easily and evenly apply it on your face. 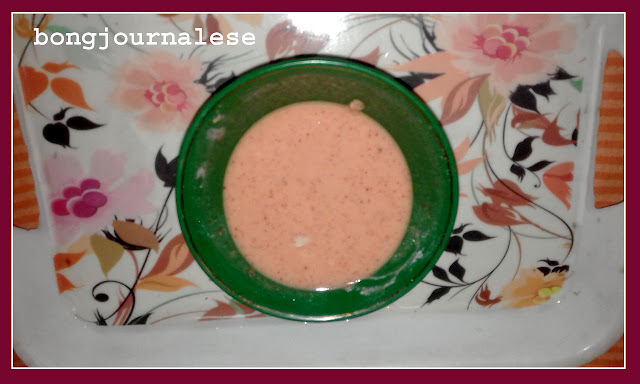 Then mix the 3 ingredients to make a paste. Apply evenly on face and neck. let it dry. Wash it with lukewarm water. My skin feels fresh and clean after using it. I find my skin glowing and smooth from the third day of use. A very good product at very cheap price. Share & Subscribe to my blog if you like to get lifestyle tips and coverage. Give your feedback in comments section and I shall revert back to you. As we set out on our midnight stroll, our local guide, Master da had us all engrossed in his light banter and we were completely at home in spite of our hesitations harbored in the myths and rumours of the strange land. It was the day after full moon night and the lusty shrubs and bushes were all creating a perfect scenario where misconceptions could have built if we were singled out. As Master da also resounded our logical mind when he stated that most cases of spooky vision in the villages happened in the moonlit night. People were faked by their imaginations creating a moving figure out of a swaying banana leaf drenched in the moonbeams. Even the Sundari tree prop roots could resemble monstrous apparitions in the miry banks of the rivulets coupled with the shimmering waves conspiring to inject spirit into the naive branches. 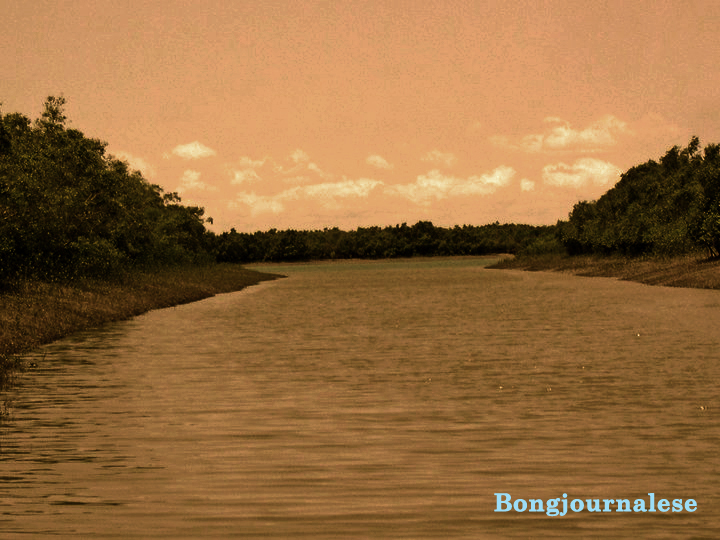 We had been walking through a meandering path for quite a time which our conversation had stole us any record as well there was little significant landmarks to register apart from the boring bushes and sleeping huts and a series of coconut plantation and several misnomer trees straddling along. If were to trace back alone surely it would be a hefty task in spite of the the guiding moon which the villagers relied on more than the torch in this part of the fortnight. Before we could be prepared for the spectacle we were completely taken aback by the dawning of the silvery expanse in front of us as if like a surreptitious python within hypnotic range. Suddenly Master da scurried few steps ahead and threw his arms wide open and then yelled out. It happened so abruptly that we first thought it to be his theatrical gesture at the natures abundance which has thoroughly spell bound us. Later we could notice him making some signals with his torch. 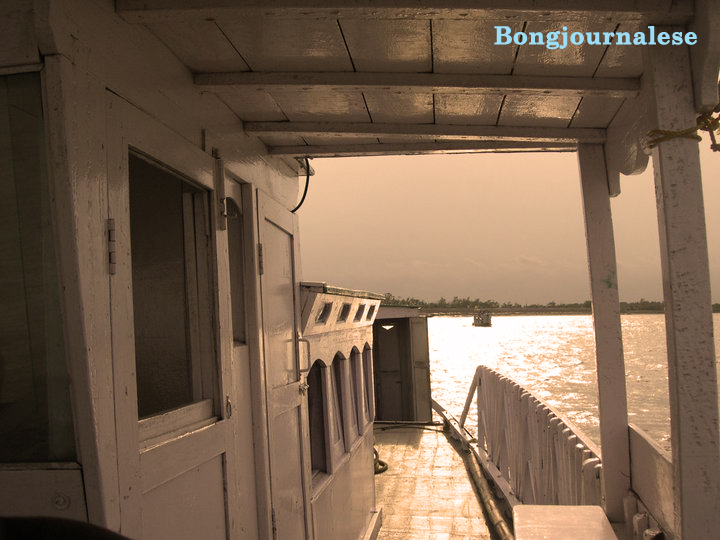 Surely at this time of the night there was not a single dingy in the ferry ghat and we were startled to hear that Master da had already beckoned one of his childhood mates who was now in mid river with his fishing trolley completely obscured to naked eye. Before we could decide or react to Master da's proposal we all noticed a twinkling light appear in the horizon and slowly drawing closer making an engine rumble. Rahamat, gleefully hugged his school friend and greeted us most cordially and then we were briefed of our nocturnal adventure plan. Mohitosh, Sanjib and me exchanged glances but at this time our emotions overcame any logical stand and like a commissioned soldier marched to the ghats following our leaders to board the trolley. There was a slippery plank adjusted to the trolley gate which tested us at the threshold of our secret expedition. We were teeming with suppressed excitement and now Master da gave us a speech which was no less than the directives of a commander on a special mission.
" My friends from Kolkata, you have been to Sunderbans but tonight you will get to know what Sunderban is and I would assure you that you can rely on the safety and my friend Rahamat is a licensed fisherman who has legitimate navigation permission as well as he is a trusted agent of the Patrolling guards informing any illegal activity in the night." We were confirmed seeing the Navy coast guard emblem in the walkie-talkie hanging beside engine room. " Ya, that walkie was gifted to Rahmat for his daring feat to nab a big pirate gang from Bangladesh 3 years back " We were dumbfound to learn that pirates that were only to be found in story books and hollywood films had their palpable presence, though few sporadic news were only to be found in district columns hardly fetching an alarm. Mohitosh quipped " We were thrilled of Sunderbans infested by Tigers and crocodiles but Pirates would now add spice to our adventure". 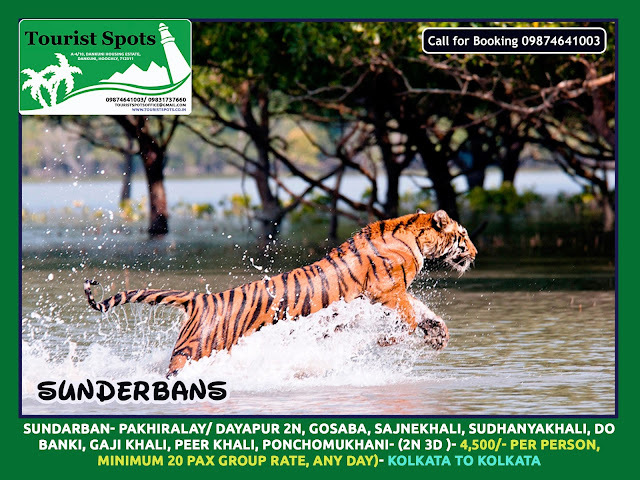 Master da retorted " Sunderbans is a gateway of mystery and there are far more things than we know to challenge our logical limits". The cold humor almost silenced us when our pilot, Rahamat eased the situation," Dada... Master da is a storehouse of such experiences that will make you throw away your books to the sea....you may know he got a prize from our Government for his education but see now, he is doing some foreign research and even writing a book....." At once Master da intervened with his humble clarification.." Rahamat loves me very much since school since I used to help him during exams so now he repays me by eulogising me at every opportune moment" I and Sanjib both pressed him to tell us about his exploits to which he explained " Nothing that big, I was a Gold medalist in my Masters as well as in my PHD in history from C.U and now working on my research funded by National Geography....and my book rights are pre-sold to Govt. of India thats all " For us the dwarfish man in a shabby T-shirt and lungi, speaking in local accent at once mocked at our established notion of urbanized version of success. We were all now amused by the rustic version of swagger dipped in sublime humility. The reverberating engine announced our voyage and as if celebrated the little Master who could stoop to be a cook and then be a guide for some urban average beings. In the dead of the night our vessel sailed along smoothly with the engine sound somewhat dying out or may be our ears getting used to its drone. My wrist watch confirmed Rahmat's nature reading as it was exactly 15 mintues to 12 and Master da informed " The Old villagers even without having any chronometer could read the exact time just by the habit of reading the Sun, Moon and the shadows....it is in the modern times we have left the basics for the machines to record while we can be busy with something that we have manufactured and call work...." We all shared a hearty laugh at the simple logic and now in front of us was the Sunderban backwaters approaching, and to our amazement we could see even in the moonlight what Master da put " Friends look, we are now going to enter the backwaters and you can easily tell the color of the water distinct as if demarcated by an invisible line..."
I am posting this article for all the lovely new moms. 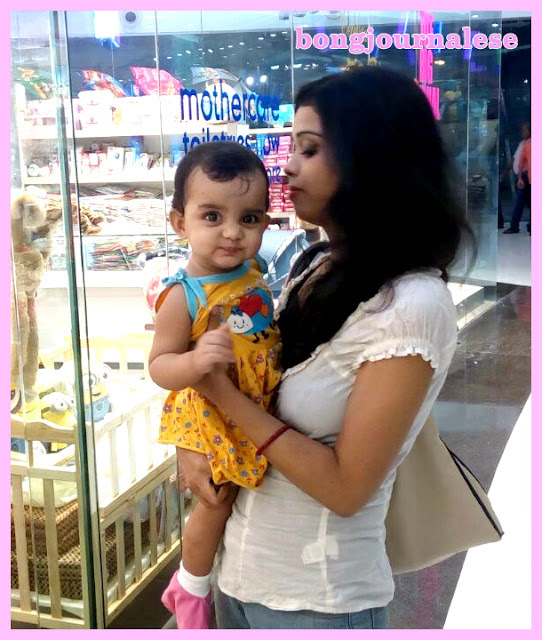 Being a mom I understand how life gets a sweet makeover after the entry of your little cutie pie. How most part of your day got engaged by tiny fingers and tumbling feet. We moms always remain busy taking care of petty things that are related to our little sweethearts. 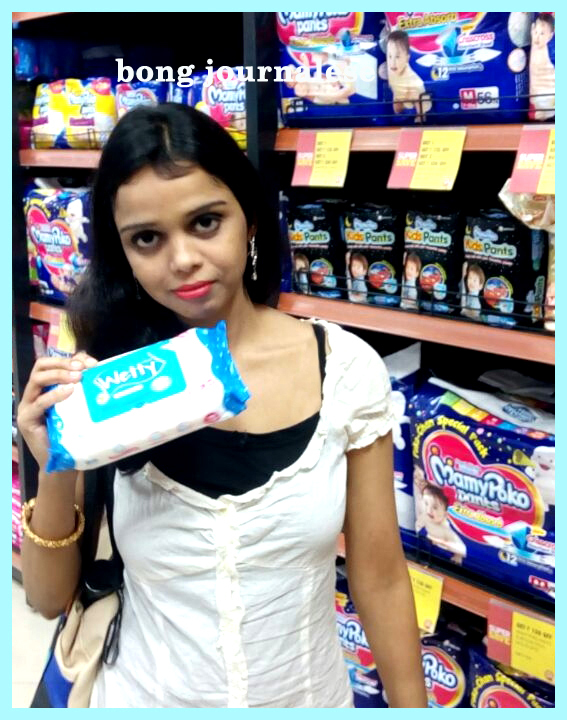 In this post I am going to share top 6 essentials for my 10 months baby which I never forget to carry while going out. No matter, where you go or for how long you are in outdoors, always carry food and boiled drinking water. My doctor always advises me to take care of the drinking water. It is because water is the fastest carrier or germs. So it’s always prescribed to carry water in child’s dedicated container with food that’s easy for your baby to intake when you are traveling. Yes, I never forget to carry essential medicine for my little one. It is really very important to carry First Aid Kit with you so that you can deal with minor accidents and common illness like fever, cough, and rashes as soon as possible. How can I forget this? It is necessary to keep babies clean and dry. Don’t forget to carry diaper bag separately where you can dump used diapers. Wipes are another essential thing which I never forget to carry. It helps me a lot to keep my baby clean and clear. After all it is not always possible to use water. Must…must…must. Before feeding your baby don’t forget to clean your hand with sanitizer. Also it’s always good for others who would love to hug your baby get sanitized. I always keep a set of hand towel with me. Believe me they are so helpful particularly for cleaning if my baby drips or sneezes. Hiiiiiiii Guuuuyz. Hope you all are doing well. I am back again after a long break. All this time I was busy collecting more new elements for sharing with you. 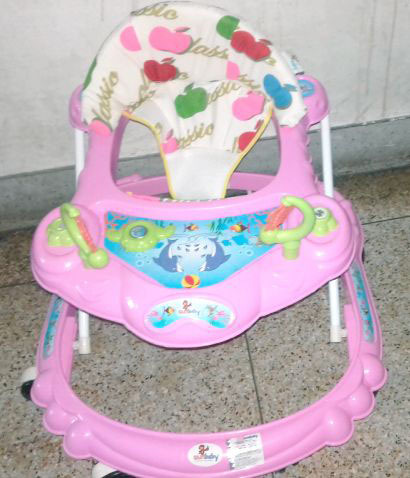 Today what I am going to share is my experience with new baby walker. Recently I ordered a walker from Bun Baby from Amazon. Hoping my 10 months old daughter will love that. After 6 days I got the delivery. I was super excited for unboxing it. It was a really a lovely pink walker with 8 wheels and a sit. Soon the walker catches my baby’s eye. The walker looks really cute with 3 different colors. The body is made of plastic. It has multi functional musical toys which babies are definitely going to love. The sitting arrangement comes in a soft cushion but I don’t think it will be comfortable. If you ask me about my experience then I am not so happy with the product, particularly with the sitting arrangements. While fixing the cushion I found screws are very loosely attached with it. It is really risky for babies. Kids can slip down the cushion anytime. The cushion is so sleek that my baby really found it uncomfortable. Secondly, they demand of building the body of the walker with high quality plastic. But the quality is really cheap. 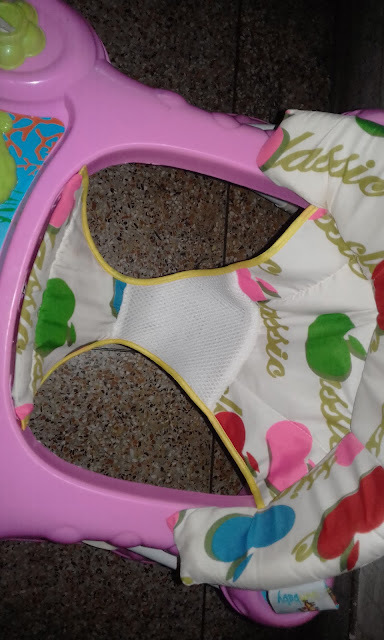 The walker can be fold easily so that you can store it anywhere when your baby is not using it. It has 3 position height adjustment systems. If you ask me I must say that don't go for it. Amazon need to be more responsible before selling such a low quality product, particularly for kid's products.